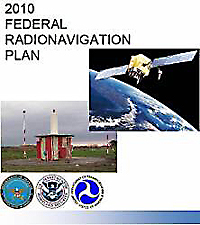 Published by jointly by the departments of defense, homeland security, and transportation, the FRP also describes approach for implementing new radionavigation systems and consolidating existing radionavigation systems as well as outlining policy on dual-use radionavigation systems (those used by both civil and military communities). Although the document was completed by early December, the last of the three needed signatures — by outgoing Deputy Secretary of Defense Gordon England — was obtained only on January 23. Copies of the FRP may be downloaded from the National Coordination Office for Space-Based PNT. 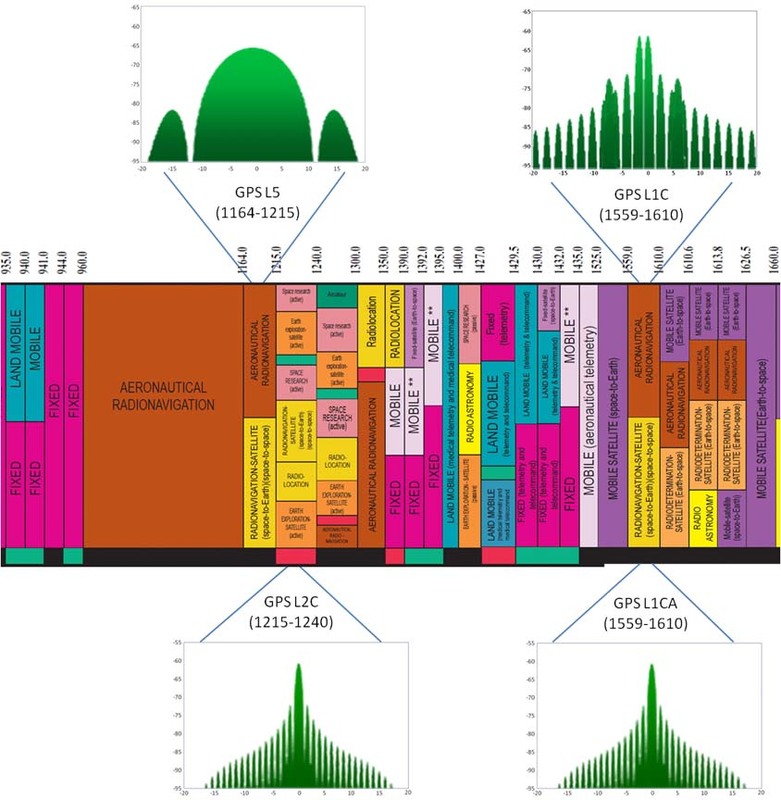 The Global Positioning System and its augmentations receive priority treatment; however, the FRP also covers long range navigation (Loran), very high frequency (VHF) omni-directional range (VOR), distance measuring equipment (DME), tactical air navigation (TACAN), instrument landing system (ILS), microwave landing system (MLS), and aeronautical nondirectional radiobeacons (NDB). Of particular interest in the 2008 edition are passage that reflect an apparent stepping back from a commitment to embark on modernization of the Loran system — known as enhanced Loran or eLoran — a new section discussing a National Positioning, Navigation, and Timing Architecture. The architecture project represents an effort to fully understand the current or impending gaps in the U.S. PNT capability and to chart a course to achieve efficient and effective solutions. An interagency team co-sponsored by the Assistant Secretary of Defense for Networks and Information Integration (ASD/NII) and the Department of Transportation (DoT) DOT/Research and Innovative Technology Administration (RITA) undertook a National PNT Enterprise Architecture Study focused on the 2025 timeframe. The team presented a set of 19 that were accepted by Department of Defense (DoD) and DOT leadership in June 2008. Karen Van Dyke, representing RITA, told an Institute of Navigation audience on January 26 that “GPS is the cornerstone of the PNT architecture,” but that the 2025 vision incorporates other technologies to create an optimal, robust mix of capabilities extending beyond GPS and other GNSSes. The ASD/NII-RITA team is working on a proposed transition plan that could being considered in the context of the Fiscal Year 2011 budget-making process. This plan would point the way toward the means and methods for evolving a convergent PNT system of systems. Meanwhile, as an overall PNT architecture gained ground, an individual PNT technology and proposed system — eLoran — appeared to lose ground as reflected in the FRP’s discussion of the subject. Although eLoran appeared to have been accepted early last year as a backup system for GPS — salvaging at the same time the venerable Loran system, which the Coast Guard had been attempting to discontinue in recent years, the new FRP suggests that the situation has become foggy once again. In March 2007, the DOT Pos/Nav Executive Committee and the DHS Geospatial/PNT Executive Committee accepted the findings of an Institute for Defense Analysis (IDA) Independent Assessment Team (IAT) study and agreed to pursue the designation of eLoran as a national PNT backup for the U.S. homeland. Then, in February 2009 officials added language “migrating” the Loran-C system from the U.S. Coast Guard (USCG) to the Department of Homeland Security’s National Protection and Programs Directorate (NPPD). The 2008 FRP, however, suggests that despite the earlier acceptance of the IDA IAT recommendations, the agencies are now in a new loop of analysis and associated delays. Since most of the officials responsible for the eLoran non-decision have now left the building, the Obama administration inherits yet another piece of unfinished PNT business.